Dental Emergency in North Dallas? We Can Help! If there’s one thing you can count on during a dental emergency, it’s that it won’t happen at a convenient time! It may also feel scary. When you know you have the right team on your side, you can rest assured that everything will be all right. Dr. Dale Greer is here for you and we’ll help if you’re experiencing a dental emergency in North Dallas. Here are some tips for handling common emergency situations. A broken tooth: Gather the pieces of your tooth and contact our office. Dr. Greer will determine the best treatment for your needs and get you feeling comfortable again. If your tooth is chipped, we still encourage you to call. While it may not need immediate treatment, even the smallest chip should be smoothed so it doesn’t cause discomfort to your soft tissues. A tooth that’s been knocked out: In this situation, time is critical because we have the best chance of saving your tooth within the first hour of your injury. Contact us right away and be careful not to handle your tooth too much. Place it back in its socket if possible, or use a cup or bag of milk to transport it. This will help to keep the cells moist and alive. A broken or lost restoration: If one of your current dental crowns or fillings becomes broken or compromised, you will need to have it restored in order to protect your tooth from bacteria or an infection developing. Contact our office to be seen. Dental sensitivity or pain: This can be the indicator of a dental infection. 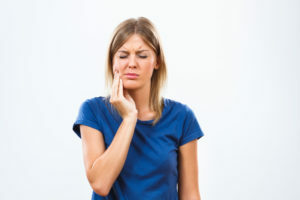 It’s important to act quickly with this situation because an infection can spread and also cause more pain and further damage to your tooth if it’s left untreated. Root canal therapy can potentially preserve your tooth if you’re proactive about treating it. Dr. Greer has been providing high quality dentistry to patients in North Dallas for many years. His kind demeanor will put you at ease right away. If you encounter a dental emergency, it’s good to know you have the right team on your side. Contact Dr. Greer today to learn more about how we can help you. Comments Off on Dental Emergency in North Dallas? We Can Help!